1. 1. 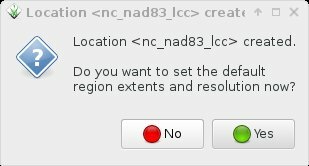 Having the LAS file: now what? 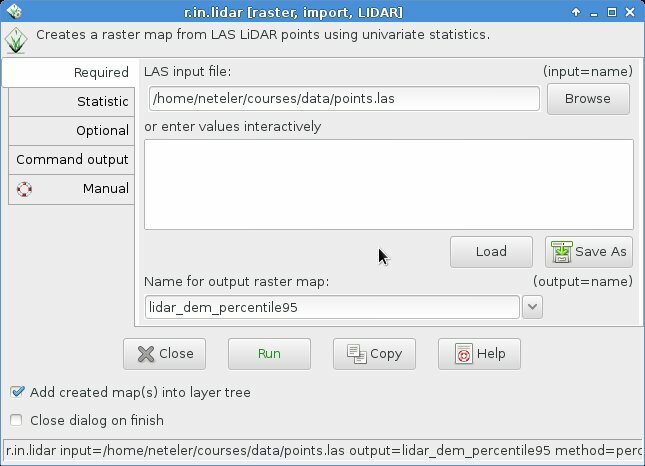 LiDAR point cloud data are commonly delivered in the ASPRS LAS format. The format is supported by libLAS, a BSD-licensed C++ library for reading/writing these data. 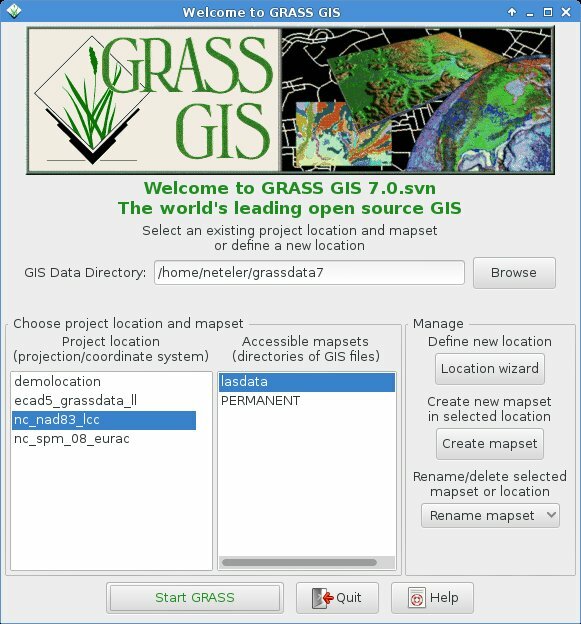 GRASS GIS 7 supports the LAS format directly when built against libLAS (as the case for most binary packages being available for download). 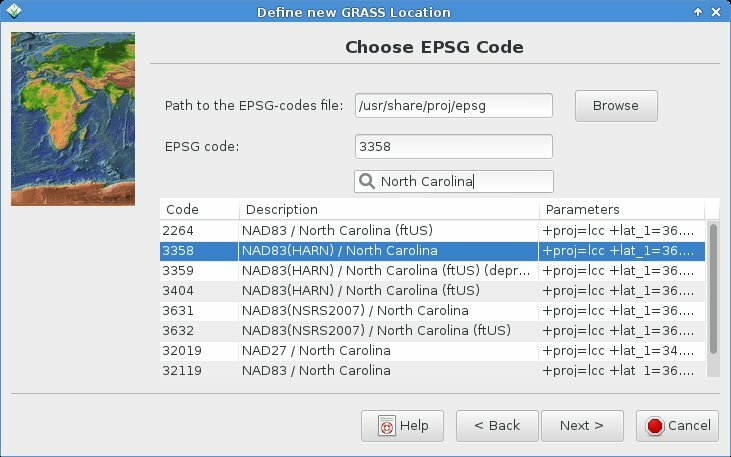 In this exercise we will import a sample LAS data set covering a tiny area close to Raleigh, NC (USA), belonging to the North Carolina sample data set. 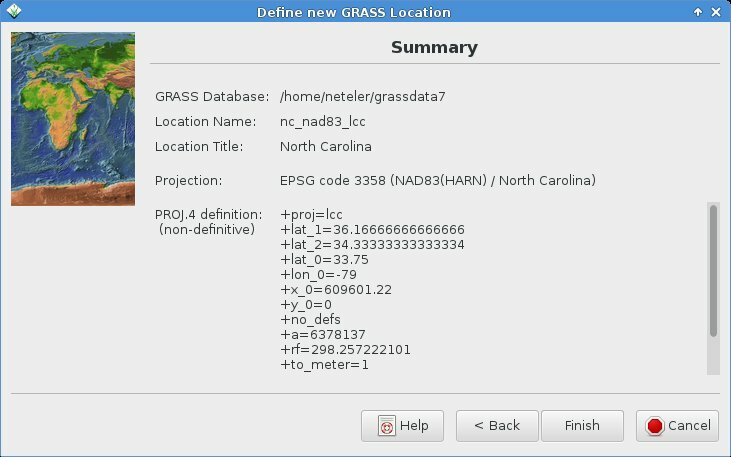 Sample LAS data download: http://grass.osgeo.org/sampledata/north_carolina/ (25MB). For a full exercise, we will, however, assume that no GRASS GIS location is ready so far (so: newbies are welcome!) and create a new one initially. We see: no spatial reference system indicated! Point Classifications: the points are already classified as “Ground” (class 2), “Low Vegetation” (3), “Building” (6), and Low Point (noise) (class 7). Something to play with later. 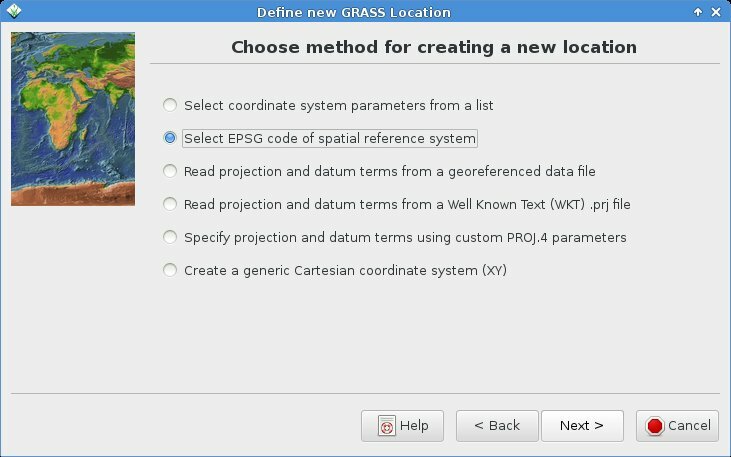 Time to create a GRASS GIS location and import the LAS file. Since we know the EPSG code of the projection, that’s an easy task. 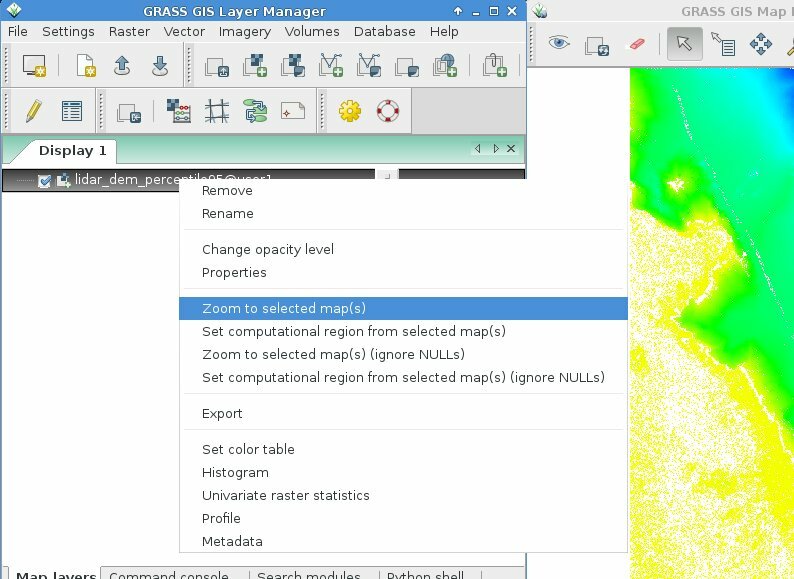 Please note that GRASS GIS can generate locations directly from SHAPE files (with .prj file), GeoTIFF and more. 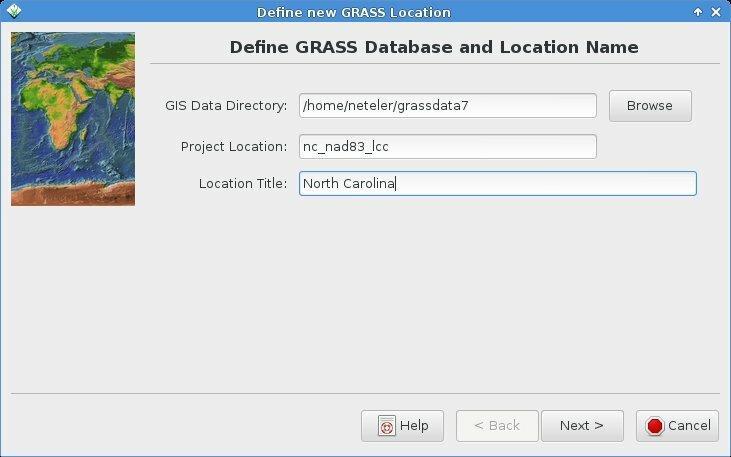 VoilÃ , we get back to the initial startup screen and can now start our GRASS GIS session with our “nc_nad83_lcc” location and “lasdata” mapset within the location: “Start GRASS”! 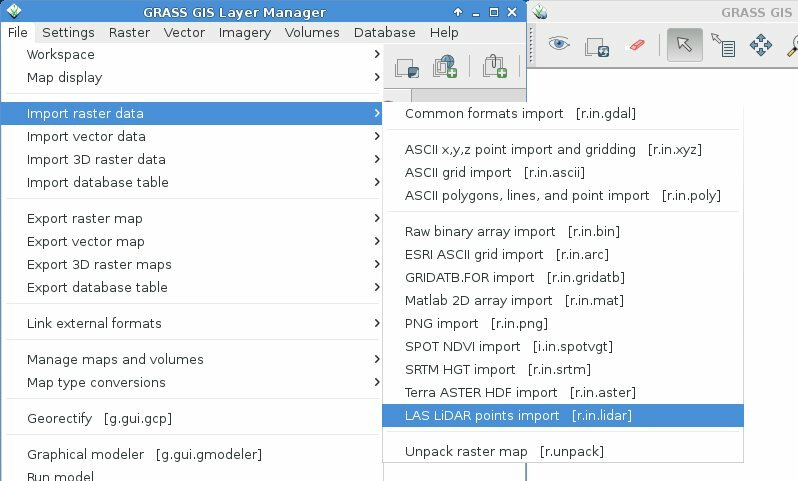 When creating a new location from a GeoTIFF or SHAPE file (or other GDAL supported format), then the data set is imported right away. This is not the case for LAS files, also due to the fact that we can directly apply binning statistics during import of the LAS file (e.g. percentiles, min or max) and create a raster surface from the points right away rather than importing them as vector points. 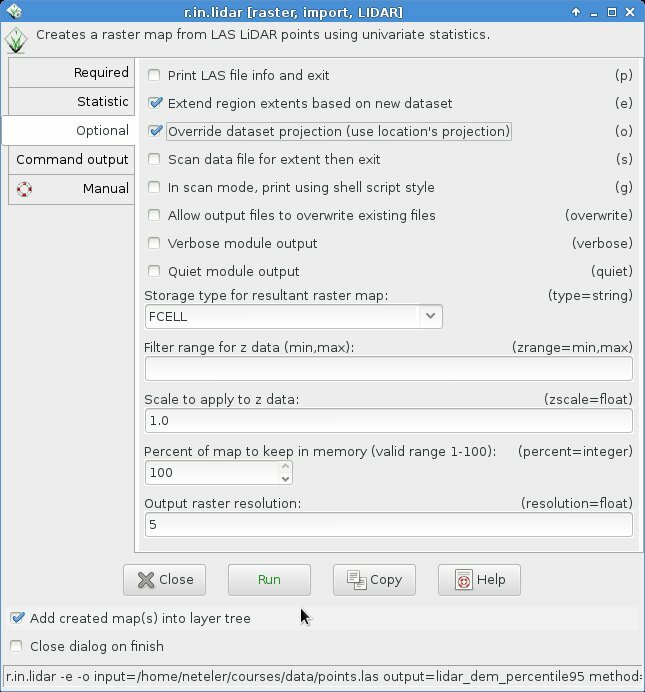 Now we can start to analyze or visually explore the imported LAS file. Now all kinds of analysis steps may follow. 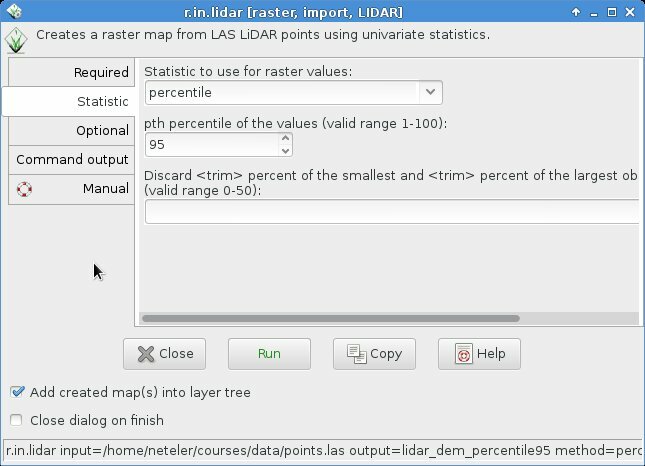 For true LiDAR processing as points, see the following GRASS GIS 7 modules: v.in.lidar (for point import), v.lidar.correction, v.lidar.edgedetection, v.lidar.growing, v.outlier, and v.surf.bspline. 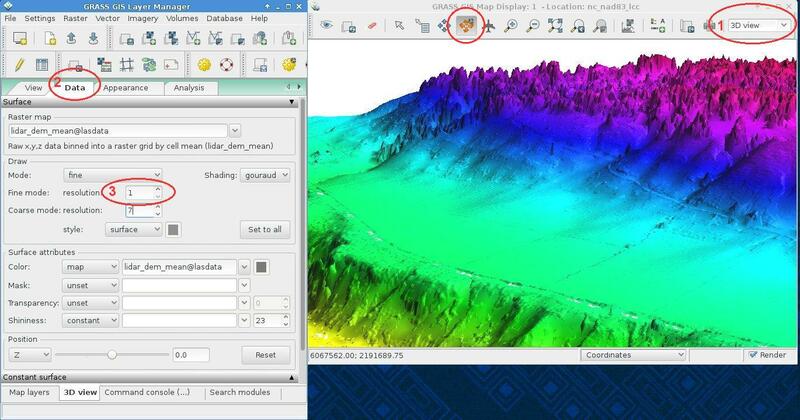 This entry was posted in Blog, data, DEM, GRASS, LAS, Lidar on February 23, 2014 by neteler. I wanted to use GRASS for .las file so I followed all the steps written in this website but it didn’t work. No map has been created, I don’t understand. I used files from this website : http://centrodedescargas.cnig.es/CentroDescargas/locale?request_locale=en, and I tried with .laz and .las format (and I did the shift with Laszip).